Bitter divisions have emerged in state Labor ranks over the Weatherill Government’s plan to sell off the Lands Titles Office, with an overwhelming majority voting to condemn the move at an ALP state council meeting last night, InDaily can reveal. 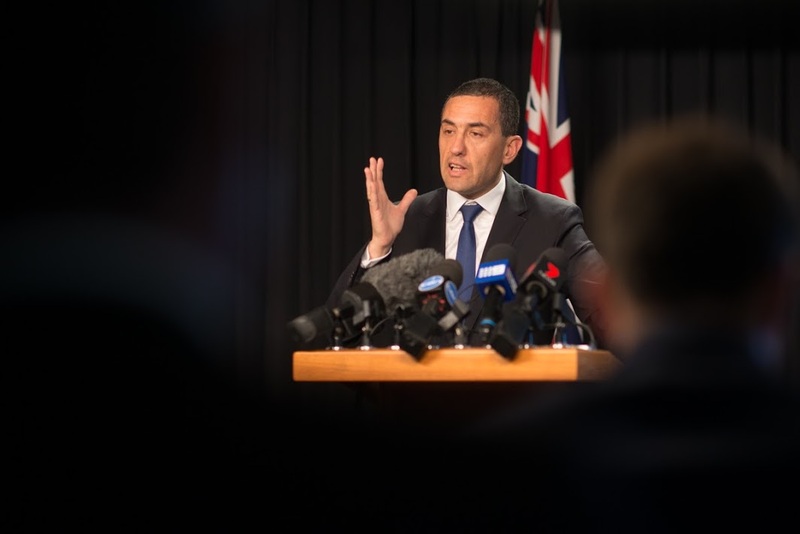 Treasurer Tom Koutsantonis wants the private sector to take over the “transactional” functions of the government agency responsible for various property services, including land titles and valuations, with expressions of interest closing earlier this year. The budget windfall has been estimated at between $300 and $400 million, with the Australian Institute of Conveyancers previously lamenting the move as “a short-term gain for the government, with long term – and yet unknown – ramifications for the SA public”. But the plan has also opened up a schism between the Government and its own party delegates, with a state council meeting at West Adelaide Football Club strongly supporting a motion to “go on the record to oppose privatisation of the Lands Titles Office”. InDaily has been told the motion, put by delegates from the Kavel sub-branch, was carried “on the voices” of the 200 attendees, which means it did not need to go to a vote and no-one spoke against it. “That does not represent a change of party policy,” he said. And it’s unlikely his own party’s opposition to the measure will dissuade the Treasurer from pursuing it, given its importance to his budget bottom-line a year out from a state election. That importance was re-emphasised by his decision not to offload part of the HomeStart Finance loan portfolio, as also revealed by InDaily today. The Lands Titles Office is under the auspices of the Land Services Group, whose reported $100 million annual income will still flow to government coffers under the sale. The deal would offer a buyer an annual service fee in return for the capacity to commercialise the group’s vast store of data. SA Unions secretary Joe Szakacs was at last night’s meeting and said he voted to support the motion. “The privatisation questions are pretty strong-principled positions that a lot of people in the Labor Party and broader labour movement have,” he told InDaily. He implied that ignoring the motion would be a breach of faith with the Labor membership. “It’s that rank and file of the Labor Party that invested blood and tears in ensuring the re-election of the Labor [Government],” he said. Another delegate to the meeting was former Morphett candidate Tim Looker, who told InDaily he also opposed the sell-off. He said if the privatisation proceeded “it would be contrary to members’ wishes”. “Someone needs to tell some of these pollies that the era of neoliberalism is over – there’s no social licence for it,” he said.